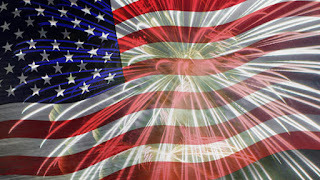 is a day of remembrance for those who have died in our nation's service. Every Memorial Day the U.S. flag is quickly raised the tops of flagpoles, slowly lowered to half-mast, and then raised again to full height at noon. The time at half-mast is meant to honor the million-plus fallen U.S. soldiers who have died for their country over the years. Re-raising the flag is meant to symbolize the resolve of the living to carry on the fight for freedom so that the nation's heroes will not have died in vain. Observed on the last Monday of May, it was formerly known as Decoration Day and commemorates all men and women who have died in military service for the United States. Many people visit cemeteries and memorials on Memorial Day and it is traditionally seen as the start of the summer season. To ensure the sacrifices of America's fallen heroes are never forgotten, in December 2000, the U.S. Congress passed, and the president signed into law, "the National Moment of Remembrance Act". The National Moment of Remembrance encourages all Americans to pause wherever they are at 3:00 P.M. local time on Memorial Day for a minute of silence to remember and honor those who have died in service to the nation. Many families go on vacation on Memorial Day weekend, and many others stay home and enjoy family picnics and get-togethers. There is much patriotic significance attached to Memorial Day, and there are many events, both public and private, going on. If you travel by car for the weekend, drive safely since roads will be very busy at this time of year. Thanks to the media, we know about long lines at airports, so allow plenty of time to catch your flights. Enjoy your holiday and this might be the perfect time to plan for your July 4th and Labor Day week-ends with family and friends! Click here to get some holiday weekend getaway ideas. The Biltmore Hotel in Coral Gables, a historic landmark in South Florida, celebrated it's 90th anniversary in January of this year. 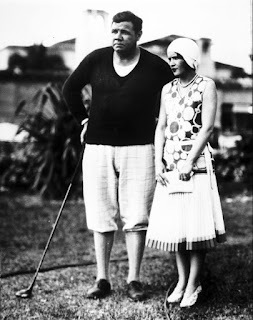 Some things to honor in this celebration: golf, five dining options, spa and let's not forget the hotel itself, of course. The historic Donald Ross 18-hole, 71-par championship golf course was built in 1925 and has hosted a unique variety of athletes and celebrities throughout the years. 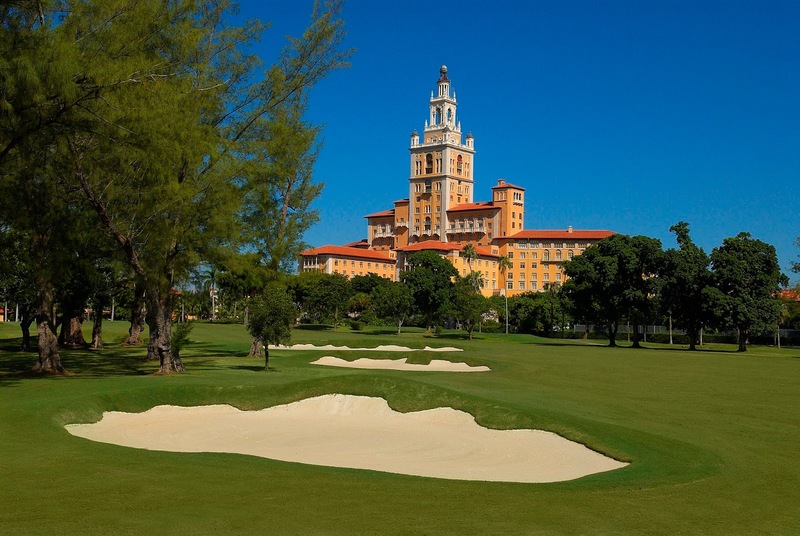 The Biltmore also hosts many tournaments including the annual Jr. Orange Bowl International Championship which celebrated its 52nd anniversary in 2015. The five amazing dining options are a fabulous reason to frequent the hotel even if just for an occasion. The Palme D'Or is a 5 Diamond restaurant for wine and cheese pairings and to savor the aromas and enticing flavors of their Chariot de Fromages Affines, along with the award winning wine list. The Italian cuisine restaurant on the grounds is Fontana. The Chef uses local and farm fresh organic ingredients throughout the menu. Cascade and 19th Hole, the casual dining options, are a great break from the greens or the pool. And do not miss the Sunday Brunch--voted #1 in South Florida--which has anything you could dream of indulging in. If you are looking for a getaway for relaxation and rejuvenation, the Biltmore Spa has many packages to choose from and specials throughout the summer months. Added to this list of fabulous things are classes you can take during your stay, a culinary academy, kid's activities, golf, fitness and much, much more. How could one wish for more in a great staycation spot here in sunny South Florida? Maybe I'll see you there! sharing our love of travel with you! Walt Disney Imagineers worked hand in hand with local artisans, designers builders, and historians to create a one-of-a-kind resort on the Hawaiian island of Oahu. 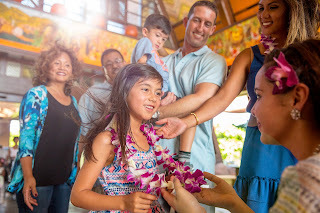 Inspired by the natural wonders and rich traditions of Hawaii, Aulani is the ultimate family getaway - celebrating the beauty, history and welcoming spirit of the island. Located on 21 oceanfront acres in Oahu's Ko Olina Resort and Marina, Aulani is just 17 miles, but worlds away, from bustling Honolulu. Nestled against a crystal blue lagoon and white-sand beach, the family friendly (of course!) resort features water play areas and two pools; spas - for guests ages 14-17 and adults; a kids' club; family and kid activities and programs; Disney character experiences, and two signature restaurants. 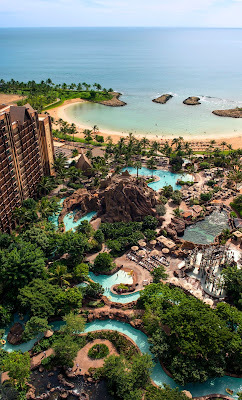 Aulani's twin towers are comprised of 351 guest rooms and 481 villas (a mix of studios, 1 and 2 bedrooms). It is situated around a signature seven-acre water play area called Waikolohe Valley, which mimics the local landscape with a lava-formed mountain with trails leading to the blue waters waters below. Sprinkled through Waikolohe Valley, as well as all around the resort, are the legendary Menehune, Hawaiian "little people," which showcases the local folklore with plenty of whimsy to excite little ones. Aloha Aulani!